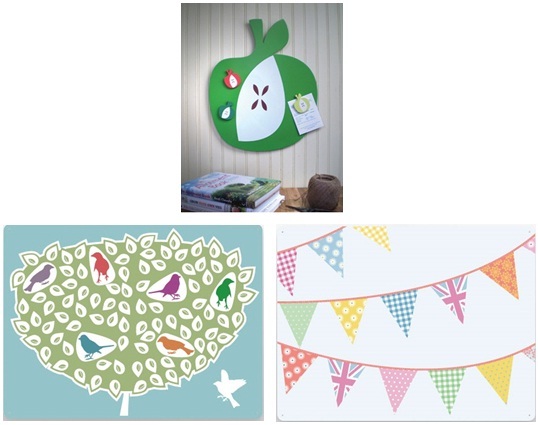 Beyond the Fridge create fabulous magnetic notice boards which are both beautiful and useful. They are made in Britain from steel and decorated to create magnetic art. They are available in large rectangular formats (pictured bottom) sized 75 x 55 cm and 100 x 75 cm which are Â£85 and Â£135 respectively. There is a range of styles available including some funky mid-century style coffee pots. I am really loving their range of shaped boards (pictured above) which are a wallet friendly Â£39.95. Even their magnets are funky so if you haven’t got space on your walls for a board you can revive your fridge.